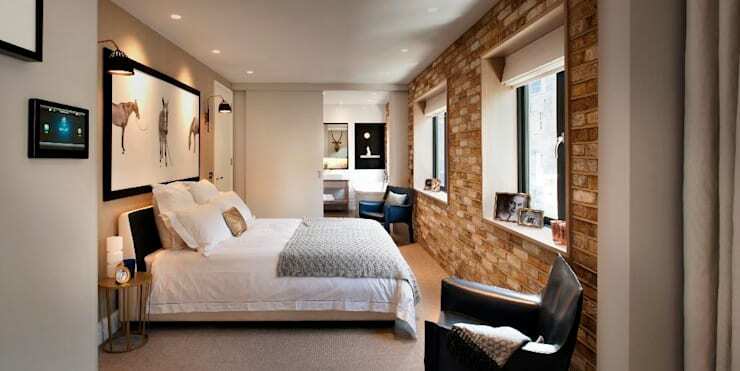 Brick walls are not a new design idea, but they still promise to add a creative charm to your modern home. In this Ideabook we look at 14 fantastic brick décor ideas to achieve elegance and style on the exterior and interior of your house. 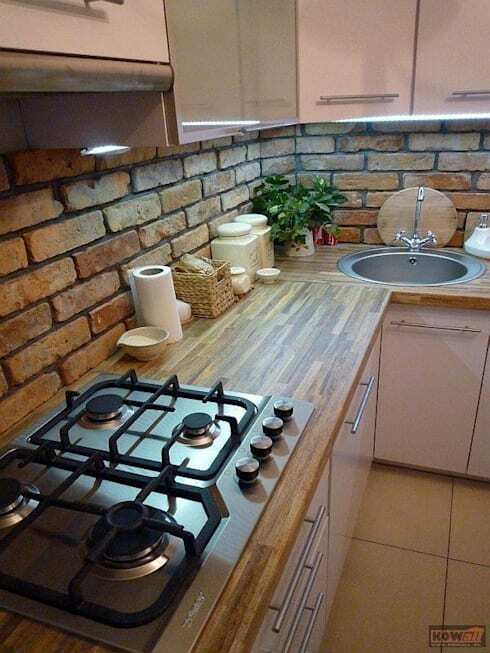 Brick is versatile and easy to maintain, as is available in a variety of colours, and brings a chic effect to all aspects of your home. So if you like the thought of classic inspired traditional detail, then rustic brick might just be the perfect solution. A more unique décor awaits in this edition of homify! 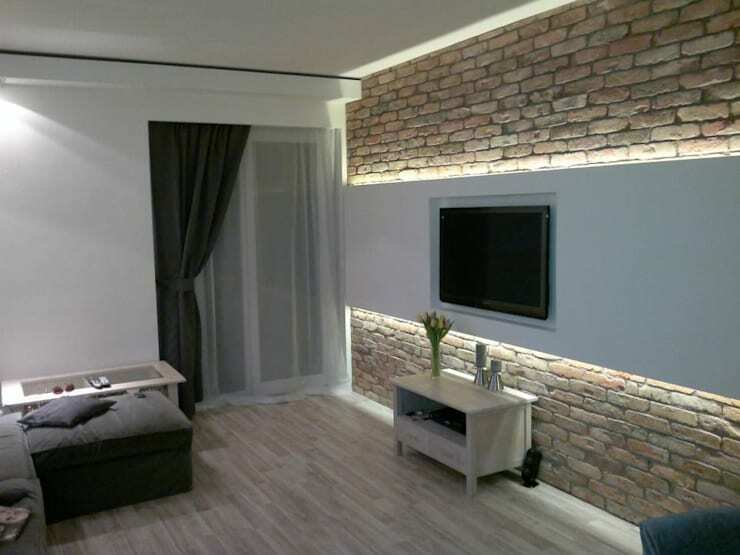 For a fantastic feature wall behind your large flat screen TV in the living room, opt for the stylish effect of brick. 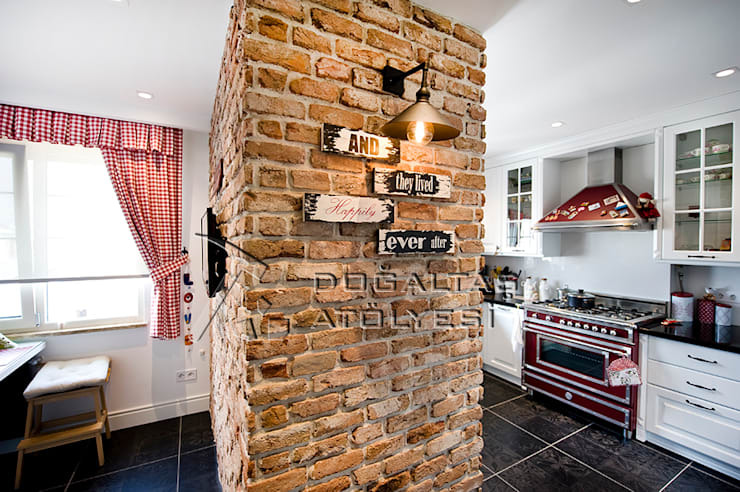 Exposed brick décor is a fabulous way to define and implement some industrial style to your home décor, and when combined with lamps and other metal elements, the effect is sensational! This traditional kitchen is the perfect design for a rustic country cottage, the architects ensured that it maintains an attractive authenticity too. Separate spaces with a low brick wall in the dining room, along with some dark accents, light furniture and brilliant lighting, and it’s a great spot for a dinner party with loved ones. 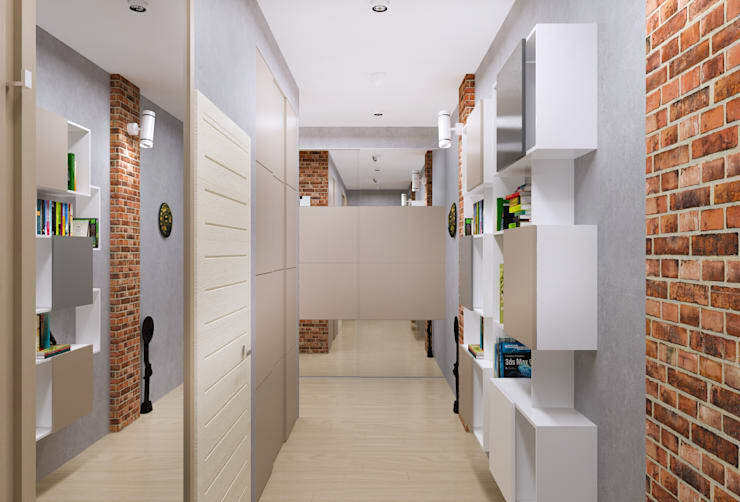 The light furnishings and brick accents creates a rational yet stylish feature in this contemporary corridor. The illumination of the space is enhanced by the sleek reflective surfaces. 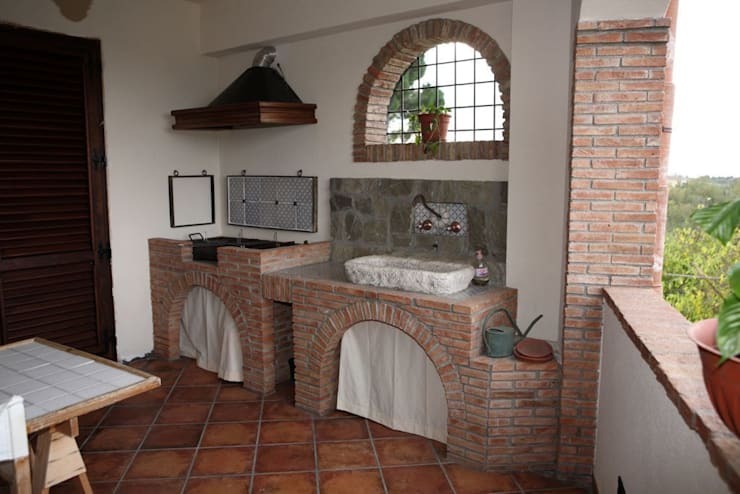 The combination of brick and wood are the perfect choice for a harmonious and warm décor. The elegant lighting, white walls and ceiling enhances this simple design in an interesting way, too. 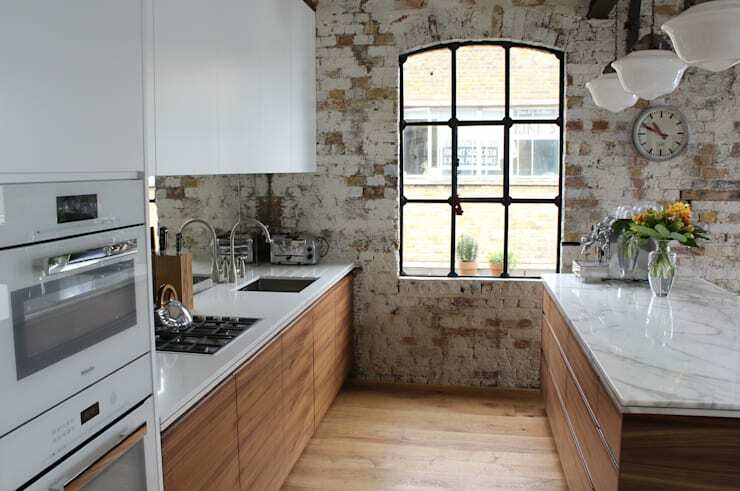 Detail such as this is usually only seen in homes that have a lovely industrial atmosphere. And by incorporating the original design features into the new kitchen of an upmarket apartment, the effect will be sensational. 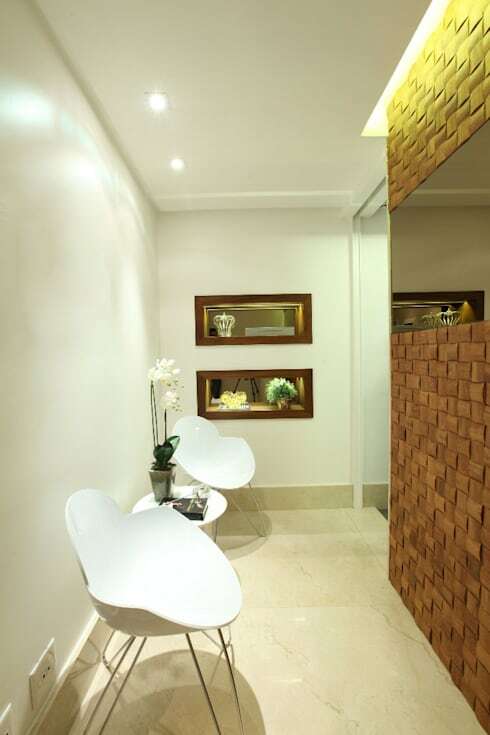 The brick coating of this wall and mirror adds a creative character to the entrance hall that enhance the illusion of spacious atmosphere, a trick commonly used by interior designers. Break the monotony of your décor by incorporating some greenery for that essential fresh look, and include lovely lighting while you're at it. In this image we can see that a brick wall works well as a backdrop for the TV. It’s neutral with very little extra features to distract you from what you’re catching up on. 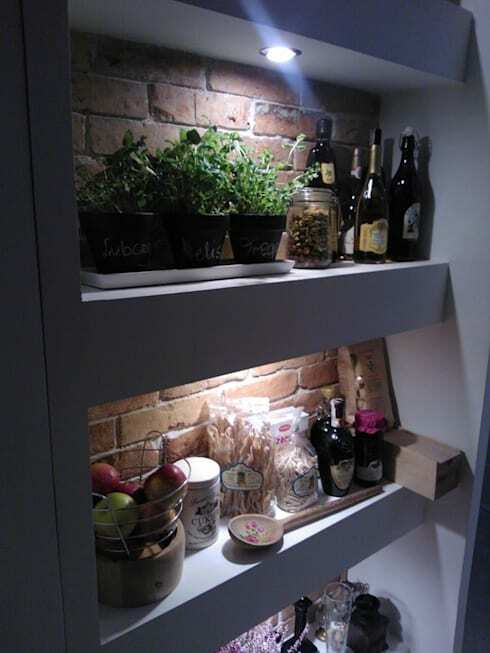 The kitchen pictured here as a distinct rustic design, the old fashioned splashback along with the modern minimalist cabinet decor is the perfect combination of style, and with the wooden countertop, the kitcheb is traditional and elegant. 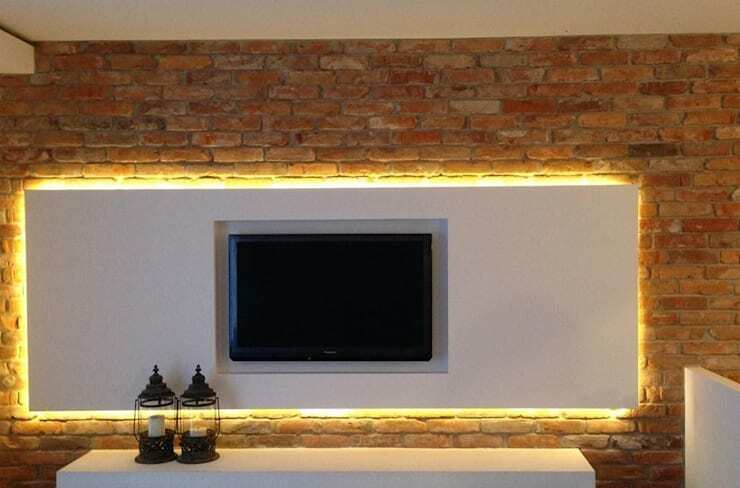 It is important to consider the illumination of your brick wall, especially when it comes to the space around the TV, so opt for strip LED lights behind a white panel (this added detail will hide those atrocious wires as well). 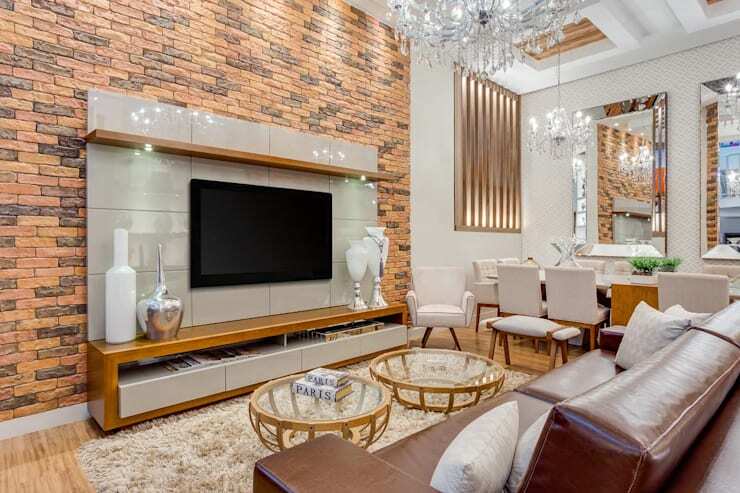 The brick wall part of this open plan living space has been added to only one wall, for that wonderful and sophisticated feature wall effect, while the all-white walls and ceiling is modern and attractive. Utilising your brick window sill as a shelving area is a great way to incorporate some personal items and memories into the bedroom, without installing extra shelves. If you are in need of more wall inspiration, then check these: 12 spectacular and affordable ideas for the walls in your home. 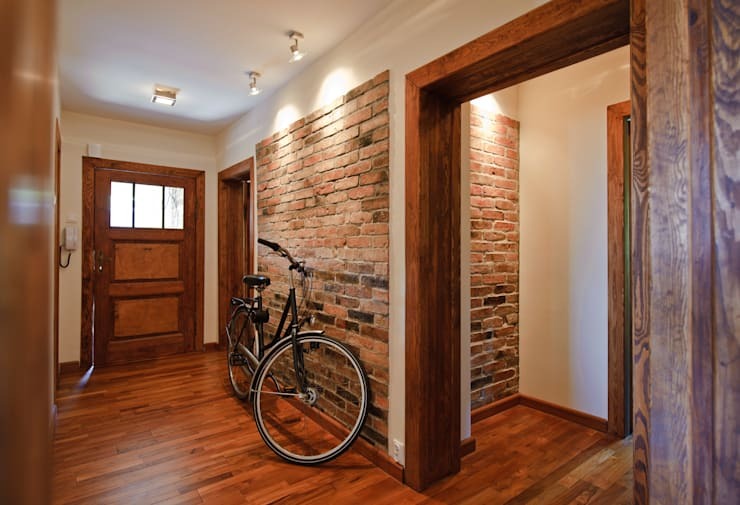 How would you incorporate brick walls in your home?